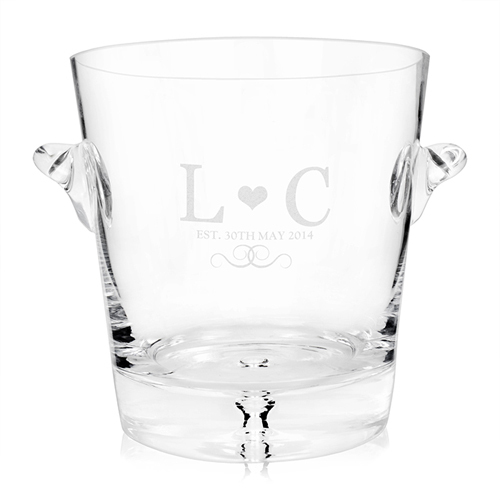 Personalise this Glass Monogram Ice Bucket with two initials and a line for a message up to 20 characters. All personalisation will appear in uppercase and the heart between the initials is fixed. If 'Est' is required, please enter within the date field as this is not standard text. Ideal for Anniversary, Weddings, Birthday's, Retirements.